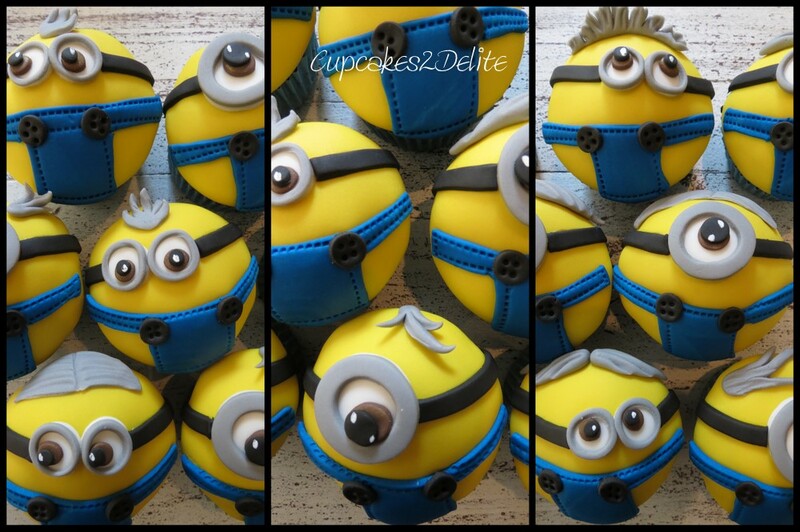 These Minion Cupcakes are just too cute not to blog about. 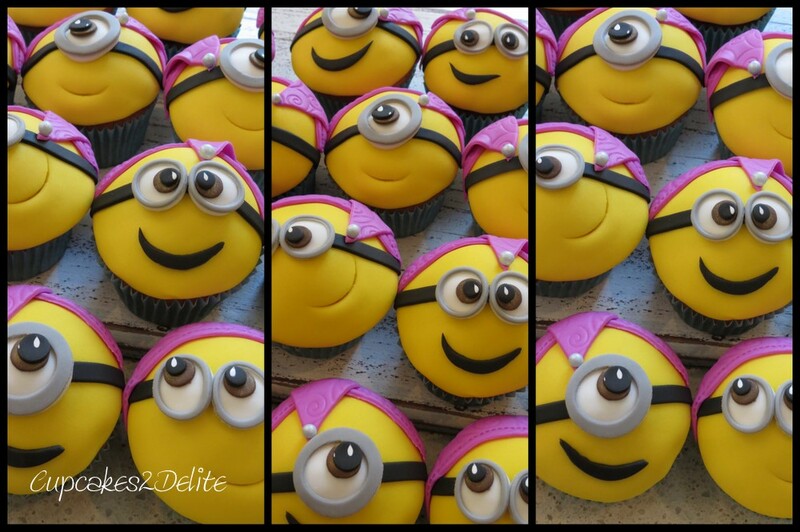 Their bright yellow sugar faces, naughty smiles and googly eyes just makes them so loved for party themes at the moment. 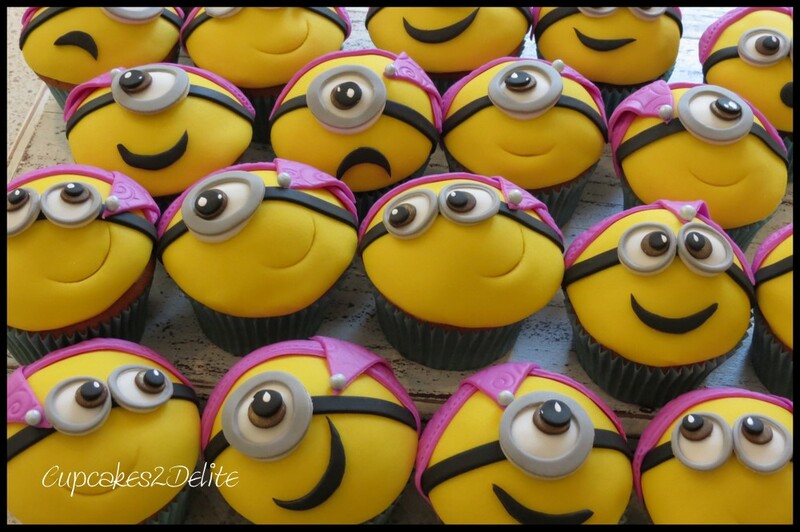 Welile asked me to add purple party hats to the minion face cupcakes above to get them completely party ready! 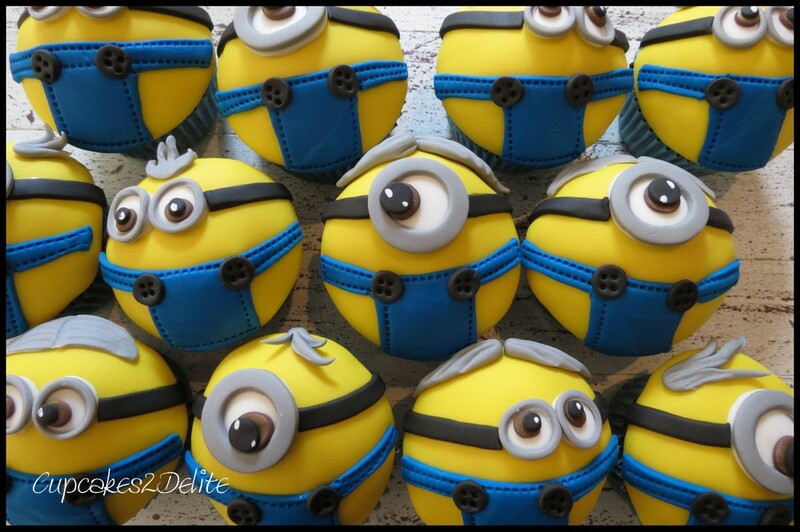 The next order just a few days later was for a birthday celebration for a guy, a surprise from his girlfriend Refilwe, so I sugar dressed these cupcakes in the traditional blue minion dungarees. Refilwe said to me she had never seen her boyfriend so excited as when she gave him his cupcakes! ← Louis Vuitton Shoe Cake! 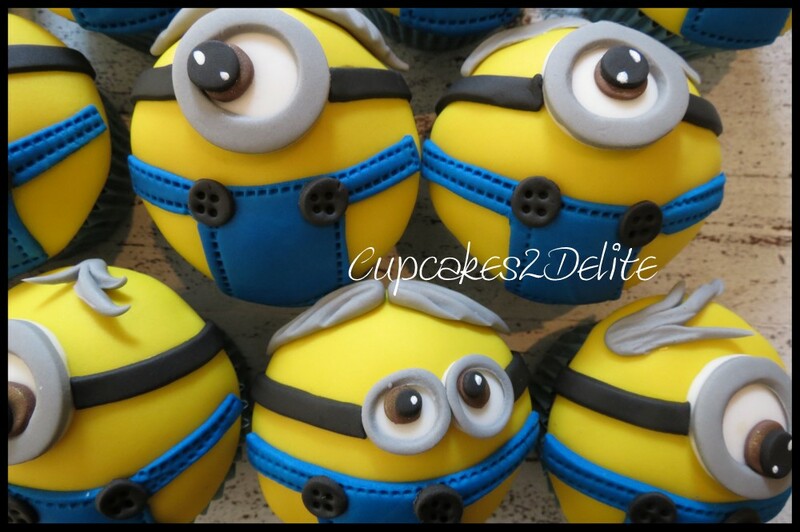 Good morning, I just LOVE these minion cup cakes. Please could you let me know how I can contact you to discuss a cake for my son’s 21st in August.